DAN HARDING QUARTET: The Bill Evans Tribute Quartet is a new project established by Danish drummer Daniel Harding. The band celebrates the great pianist, composer and educator Bill Evans, mainly by performing his compositions, but also a few standards he favoured. The arrangements and the alternative instrumentation makes the band unique from other Bill Evans tributes: the piano-less sound and the different textures this brings to Bill Evans’ compositions. 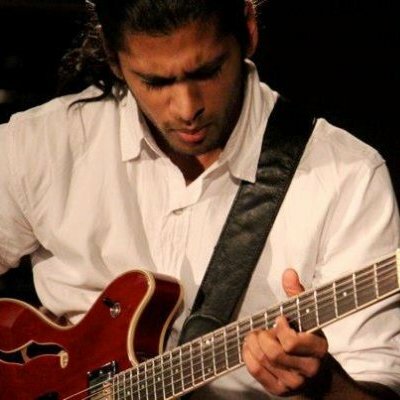 MICHAEL DE SOUZA QUINTET: This quintet brings together the talents of Sam Rapley, Matthew Herd, Ben Brown and Misha Mullov-Abbado, to contribute and fulfil the musical vision of Guitarist and Composer Michael De Souza. All members met whilst studying on the jazz programme at the Royal Academy of Music and are now individually making waves on the London Jazz scene as instrumentalists and band leaders. The music played by the quintet is completely original and composed by Michael specifically for the band, infusing Jazz Harmonies, Rock Riffs, Brazilian Grooves and Free Improv Chaos! All played with a natural conviction, sheer joy, and collective commitment to the moment through the improvised nature of the music.